Frequently Asked Questions - Who is next in line for the throne? As American’s we often find ourselves wondering about the life and the royal family and it’s not always easy for us to understand how things are done. I thought I would use this page to answer some of the most frequently asked questions. Now that females can rule in their own right, does that change the line of succession. Is Princess Anne now the heir apparent? No. 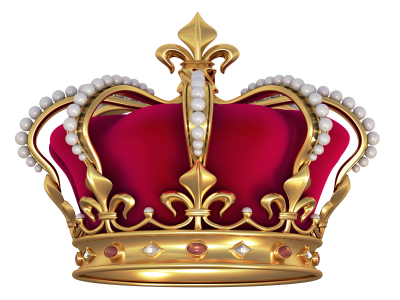 The Succession to the Crown Act of 2013 only applies to a person born after October 28, 2011. In other words, males born after October 28, 2011 no longer precede their elder sisters in the line of succession. This means that if an Earl has two daughters, then a son prior to October 28, 2011, the son, even though he was his 3rd child, would be heir to the Earldom. But when he comes Earl, marries and has children, if he has a daughter first, then his daughter can inherit the Earldom. The only real major change for current people on the list is that it restores a handful of distant relatives there were once excluded for marrying a Catholic. For example, George Windsor, Earl of St Andrews, who married a Catholic in 1988 was restored in 35th place after the Duke of Kent. However that being said, the British monarch is head of the Protestant Church of England so the requirement remains that only Protestants can be in the line of succession. The current line of succession to the British Throne is given below. So while you can marry a Catholic you can’t be one and still be in line for the throne. Karl-Emich, 8th Fürst of Leiningen (prior to the Crown Act of 2013) was excluded in the line of success because he married a Roman Catholic. His place in the line of success has now been restored. How long has the House of Windsor been on the throne? Queen Elizabeth the II became Queen of England in 1952. She is from the house of Windsor. The House of Windsor dates back to King Edward VII who was King starting in 1901. However you should keep in mind that the way royals intermarry, she can trace her ancestry back much further than that. To be considered a member of the Royal family officially (as to legally be able to rule the country), you must be able to trace your ancestry to Princess Sophia, the granddaughter of James I. But to be a Windsor you would need to trade your family ancestry to King Edward VII. Why is Prince Philip only a Prince and not a King? Because the title “King” would mean he was higher in rank to the Queen. Well, kind of. Usually the term “King” refers to a reining king and not the non-reigning spouse. Yet confusingly enough, when Prince William becomes King, Kate Middleton will be called Queen, although she will actually been a queen consort, the non-reigning wife of the reigning king. But long story short, the husband of a reining queen is always known as a Prince consort. He could never rule the country in his own right. And to make matters even more confusing, it has nothing to do with him being a royal or not because Prince Philip is of royal blood. In fact he has a pretty fancy pedigree of his own. He was born into Greek and Danish royal families. He also has ties to the infamous Tsar Nicholas II of Russia. Grand Duchess Olga Constantinovna, granddaughter of Tsar Nicholas I, married King George I of Greece. Among her descendants is none other than Prince Philip. In fact when they found some the remains who they thought might be the Romanov children, it was Prince Phillip they went to, to do a DNA comparison and confirm in fact the bones they found belong to the Romanov children. And to get even more complicated and confusing, the mother of Tsar Nicholas II was Princess Dagmar of Denmark, whose sister Princess Alexandra of Denmark married Edward VII of the United Kingdom, which makes King George V and Tsar Nicholas II first cousins. Through this connection the current English Queen is again a second cousin once removed of the children of Tsar Nicholas. This makes her a double second cousin once removed of the Romanov children. And that means the children that Queen Elizabeth and Prince Phillip had together are double second cousins twice removed to the Romanov children (through their mother) and first cousins twice removed (through their father). Do royals still have to ask Queen Elizabeth for permission to marry? Or was that just something done in the movies? That was a real thing. It was part of what was called the Royal Marriages Act of 1772. But as of 2013 now only the first 6 people in line to the throne require the Sovereign’s approval to marry. However that being said, the royal family is still very close and it woudln’t be unusual for any member of the royal family to at least get the opinion of their family, including the queen. This is especially the case for any dynast, you always after all want to remain in the good graces of the Queen. What doesn’t Zara Phillips have a royal title? She might have had a title but when her father Captain mark Phillips married her mother, Princess Anne, he turned down the offered earldom (or so the rumor goes). Had he taken the earldom then Zara Phillips would be Lady Zara Phillips instead of just Zara Phillips. She would not have been Princess Zara because only children born on male heirs will have their children known as prince or princess. Since Zara’s the daughter of a princess she therefore would not be automatically known as a princess. All of that being said, at any time the Queen could in fact make her a princess or give her any other title if she so felt the need. Why are some members of the royal family styled His or Her Royal Highness and some are not? By royal decree known as a letters patent issued in 1917, which is still in force to this day, all male-line grandchildren of a monarch are assigned a princely status and the style of Royal Highness. So if a member of the royal family is not called HRH that means that a) are a child or grandchild of a Princess or b) a child of a Prince but some other ruling came into play such is the case of James, Viscount Severn. He is the son HRH Prince Edward – Queen Elizabeth’s youngest son. Normally any children Prince Edward would have would automatically styled HRH however when Prince Edward married in 1999, the Queen made him the Earl of Wessex, much like she made Prince William the Duke of Cambridge, when he married Kate Middleton. When the Queen made Prince Edward the Earl of Wessex, she also stated that all of his children would be styled as the children of an earl, rather than princes or princesses. I’m not sure why this was done, but perhaps it was because he was so far down the line of succession. Why is Kate Middleton not in the line of succession? Catherine, Duchess of Cambridge is the wife of Prince William and will one day be Queen but can never rule in her own right like Queen Elizabeth. Kate Middleton will actually be a Queen Consort and not a ruling Queen. Like with Philip, the Duke of Edinburgh, she will be royal by marriage. Even though Prince Philip is married to the Queen, if she dies, the crown passes to Prince Charles, her heir not her husband. In other words, Kate is married to a royal, and is not a Windsor by blood. Can a member of the royal family marry anyone they want? Yes and no. For the most part yes, but the exception to the rule is the first 6 persons in line to the throne. They must obtain the sovereign’s approval before marrying. If they don’t for some reason and marry without the Sovereign’s consent, it will disqualify the person and their descendants from that marriage from succeeding to the Crown. In other words, if they don’t get the Queen’s permission, they and all of their future children are taken out of the line of succession. It’s a member of a reigning family who retains a right to succeed to a throne. It’s often a term used in association with marriage or the rules of a dynastic marriage which is basically one that meets all the monarchical laws and restrictions so that their children are eligible to inherit the throne or be in the line of succession. How does the British royal family support itself? The royal family isn’t supported by the government like some might think. In 1399, the royal family established a private estate which is known as the Duchy of Lancaster. Think Downton Abbey, only in the real world. The Queen owns this huge estate that covers something like 45,550 acres. They make money off of that land and it’s that money that supports the Queen through what they call the “privy purse“. If a member of the royal family performers official duties on behalf of the royal family, then they get an allowance from that purse, which again is the funds that the 45,550 acres of land the Queen owns. Just as the queen has the Duchy of Lancaster, her son, the heir apparent has the Duchy of Cornwall. The eldest son of the the reigning British monarch inherits possession of the Duke of Cornwall at birth or when his parents succeeds to the throne. The Duchy of Cornwall is about 135,000 acres and is worth almost a billion dollars. It generates about $23 million a year in income. It’s actually worth more than the one the Queen owns. The Duchy of Lancaster is only worth about $580 million and brings in about $19 million a year in income. When is the appropriate time to wear a tiara? 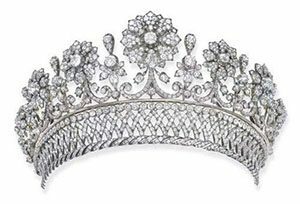 Royal etiquette dictates that it’s appropriate for a female to wear a tiara to any event if held indoors after 6 pm. Female members of the royal family, including the queen will wear a hat during any formal daytime event. You’ll also note that only married ladies wear tiaras. For married ladies it was a sign of status and would show you were taken and not looking for a husband. For the gentleman it was a clear sign not to make advances toward the lady in question. Now that Prince Harry is married, are there any single Prince’s left? Turns out there are more than a few! As of June 17, 2018 here are some rich, royal and single men and one of them is even a real King! King Leruo Molotlegi – the 36th kgosi, or king, of the Royal Bafokeng Nation. Who needs a Prince when you can have your very own King of a South African nation! Edward Windsor, Lord Downpatrick – Heir, to the Dukedom of Kent. His father is Prince Edward, Duke of Kent, grandson of King George V and Queen Mary. Louis Ducruet of Monaco – Grandson to Grace Kelly. Although he’s technically still single, I should mention he is currently engaged. His Imperial Highness The Prince (Şehzade) Nazım Ziyaeddin Nazım Osmanoğlu, Imperial Prince of the Ottoman Empire, Member of the House of Osman — Osmanoglu is 17th in line to become the Head of the Imperial House of Osman.